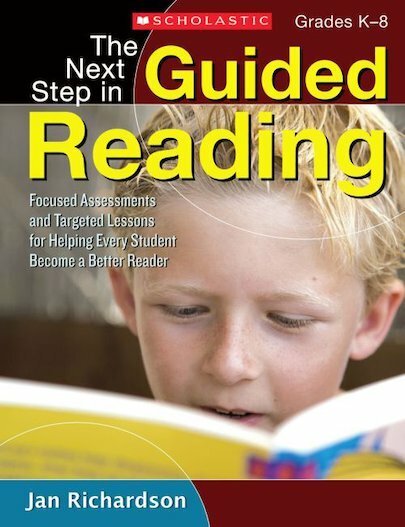 Teachers facing the challenge of meeting the diverse reading needs of students will find the structure and tools they need in Jan Richardson’s powerful approach to guided reading. Richardson has identified the essential components of an effective guided reading lesson: targeted assessments, data analysis that pinpoints specific strategies students need, and the use of guided writing to support the reading process. Best of all, Richardson provides detailed lessons for readers at all grade levels and at all reading stages from emergent through proficient. For use with Grades K-8.